If contentment could be shown as a work of art, in just one bouquet then this would be it. 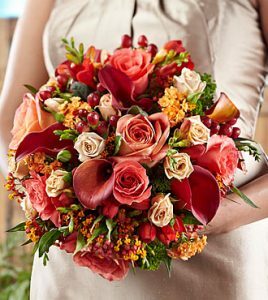 A rich-looking bouquet that encapsulates everything that contentment should depict made with green Trachelium, orange freesia, mini calla lilies, coral and orange spray roses, red hypericum berries, freesia, and euphoria. 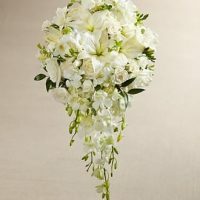 The contentment bouquet is great for a bridal bouquet, however, that is not all it can be used for as the different flowers can be used for any occasion. 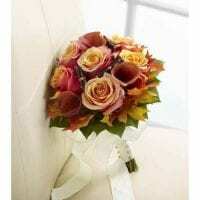 The bouquet shows nature’s finest collection and the flowers are beautiful and garden-fresh. However you choose to use it can give you the beauty and contentment with seeing it as a suitable match for any occasion, just as the name suggests. 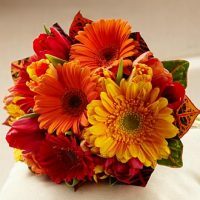 You can get it from your local florist, but if that does not work and you would like to know where to buy contentment bouquet in Toronto, then you can try Toronto Bulk Flowers as they operate a local flower shop in Toronto. Get your contentment bouquet to get a feel of what it’s like to experience the textures and colors of this unusual arrangement. 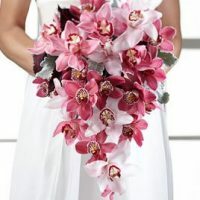 The bouquet can be used for a bridal bouquet; graduation, bridesmaid’s flowers, or if you want to buy bulk flowers Toronto and experiment with it further to create a one of a kind arrangement for the home. You can also toy with the idea of purchasing as wholesale flowers Toronto, or bulk flowers Toronto to get even more and do additional arrangements for the tables and chairs in the wedding. Use some to lace on a trellis and look how beautiful the result is. The possibilities are truly endless with even more of these flowers, but if you want to decorate the traditional way, then it is totally up to you as they are great anyway you choose to decorate with them.